Whether you are curious about sea kayaking or want to further develop your skills, we have a program for you. 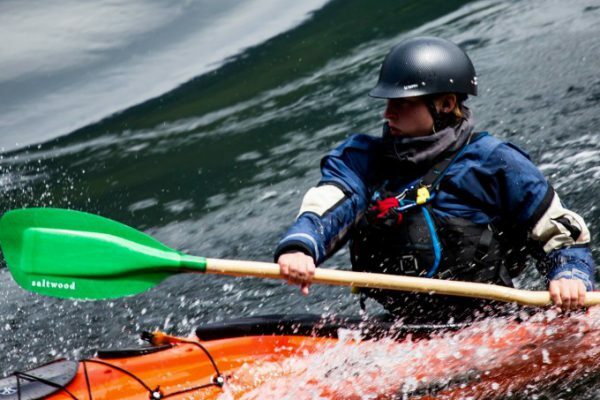 This two day course is for new and enthusiastic paddlers looking to jump in with both feet. We cover all the basics and add some weather, navigation, and day touring skills for good measure. SKILS is providing kayak, kayak equipment and immersion gear. Level-2 builds on the skills covered in Level-1 Program by refining existing skills and adding new ones like rolling and paddling in currents. Touring skills are also introduced on an overnight trip for our 5 day course. Our 4 day course has no overnight component. 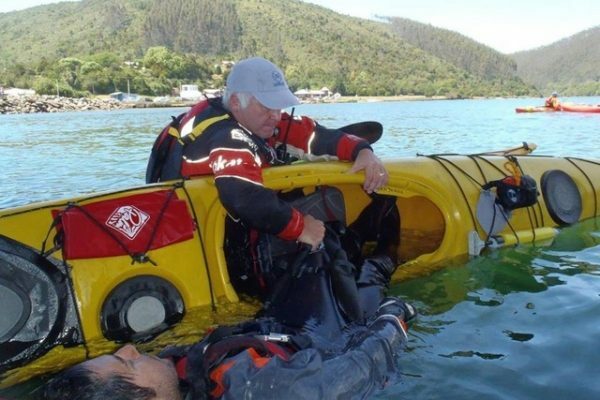 Anyone looking to tour in coastal waters should have these skills. Skills introduced in Level-2 are polished and applied in even more dynamic waters on the open coast. 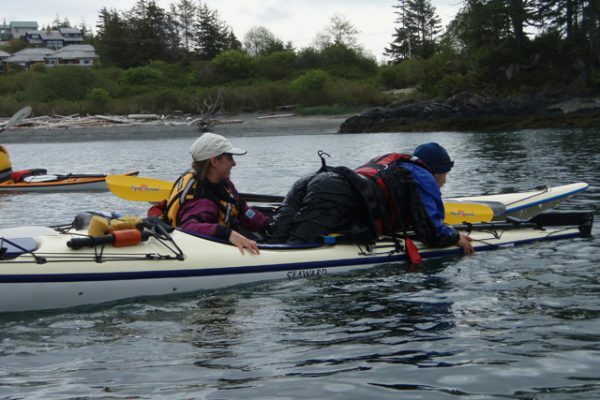 This course also includes a leadership component for those paddling in peer groups. This is where all the other cool paddling stuff lives! 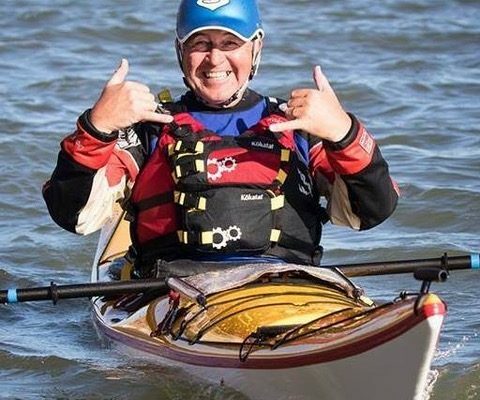 Designed for experienced coastal paddlers, Level-4 provides a dynamic and rewarding group environment for paddlers to share skills and knowledge and add a few extra tools to their tool box. We designed this program with touring in mind. We start our program by learning how not to surf, and slowly build in the skills and knowledge to paddle with confidence in and around the surf zone. 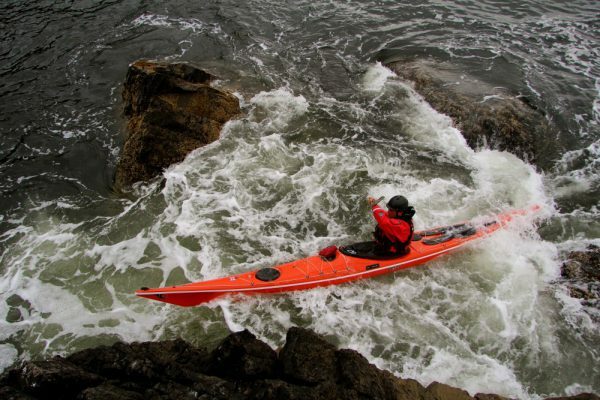 Surfing a sea kayak with control is an incredible feeling. 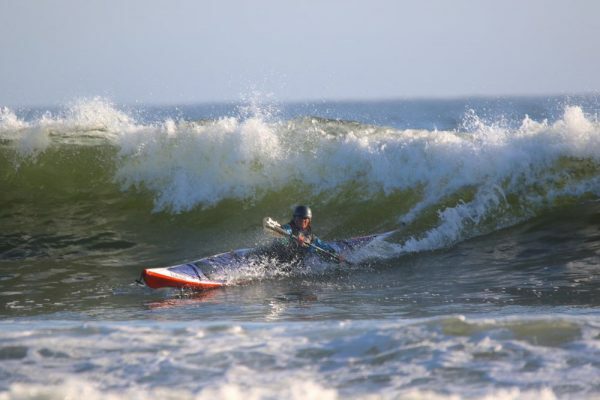 Dropping into a wave and doing a bottom turn before carving down the line and then sliding up into a nice top turn is possible in a sea kayak. 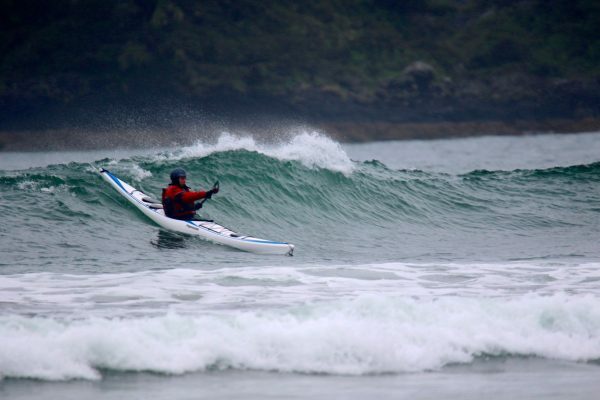 This course is recommended for graduates of the SKILS Sea Kayak Surfing course. 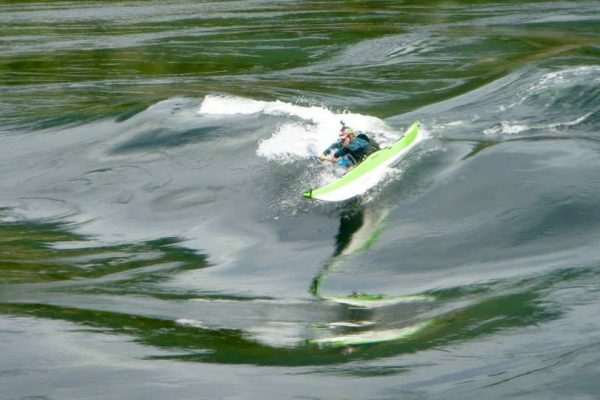 Currents are ubiquitous features of coastal paddling and they offer rewards and risks. These clinics apply basic skills and knowledge to these dynamic waters, helping develop knowledge and confidence. 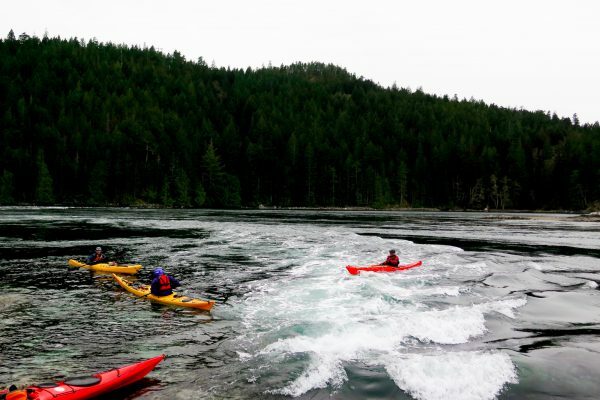 We love currents paddling around Quadra Island and at Skookumchuck Rapids and we want you to come see what all the fuss is about! Lots of rapids, boils, eddies, and big waves. If this is your idea of a good time, come play with us. Rock gardening is the sea kayaking equivalent of white water paddling. We actively seek to play where waves and rocks meet. Its a great place to refine your technical paddling skills, sharpen your tactical decision making, focus your mental concentration and awareness, and challenge your physical limits. This unique program is tailored to you and your needs, taking you from your current level of ability and building on what you already know and do. You will work with Gordon to develop an individual action plan and use goal setting and feedback to achieve your desired level of success. Now is the time to start thinking about how you want to develop your paddling this coming year. What could be a better way than to start the season with a comprehensive tune-up for you? This unique development program is designed to take you from your current level of ability and build on what you already know and do. Based in the Victoria area, it is accessible and available. The progressive nature of the course allows time for practice between sessions and also includes skills to aid in reflection. 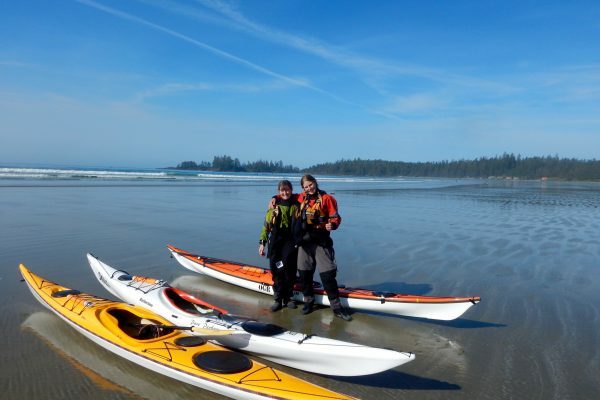 Our Clayoquot Instructional Tour aims to help you gain confidence paddling in the magnificent waters of Clayoquot Sound. We combine a relaxing tour atmosphere with the opportunity to learn key kayaking skills in an educational paddling adventure. 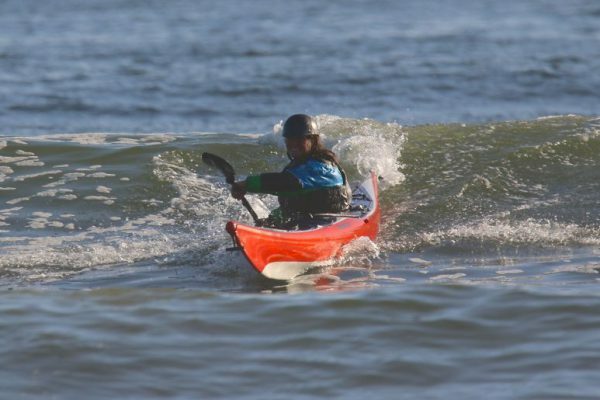 This is an expedition style course that is designed for the intermediate to advanced paddler that wishes to explore remote locations while receiving quality instruction and feedback along the way. Whether you have received training through a professional organization, or you are a motivated boater with practical experience, this course will allow you to apply and polish your existing skills while deepening your understanding of their tactical applications. This is an expedition style course that is designed for the intermediate to advanced paddler that wishes to explore remote locations while receiving quality instruction and feedback along the way. 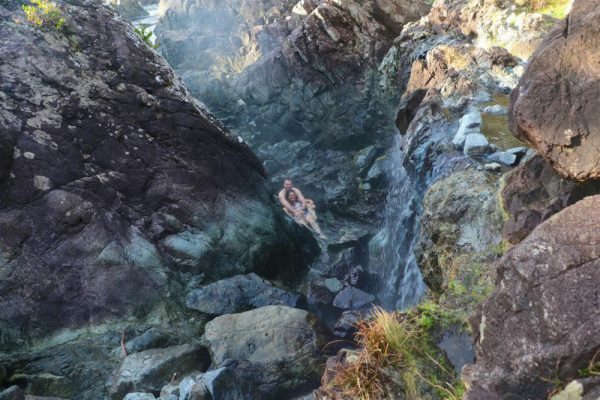 Travelling through the remote West Coast of Vancouver Island from Zeballos to Tofino will push your skills while exploring the surf beaches and rocky points of this beautiful ocean playground. 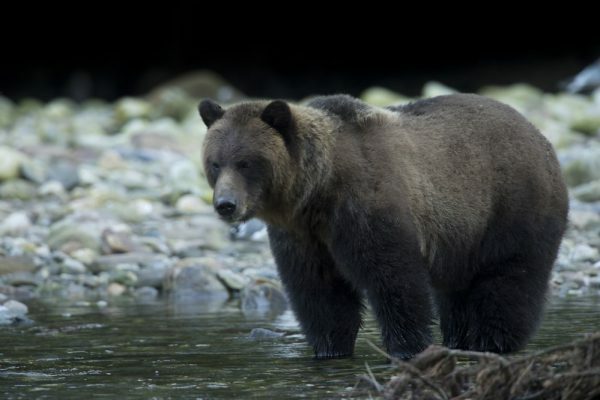 The Great Bear Rainforest is the largest intact temperate rainforest in the world. 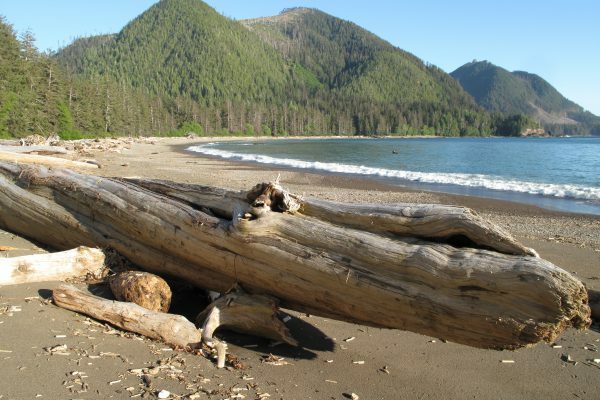 You will be paddling and camping among giant Sitka spruce trees, 1000 year old red cedars and western hemlocks. It’s the only place in the world where you can see the Kermode (Spirit) Bear, a subspecies of black bear with white fur. This adventure is 19 days long. 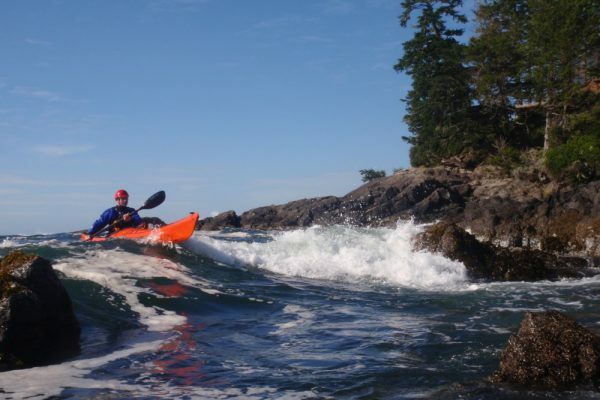 Explore one of the most wild and least visited areas of Vancouver island by sea kayak with other experienced paddlers. 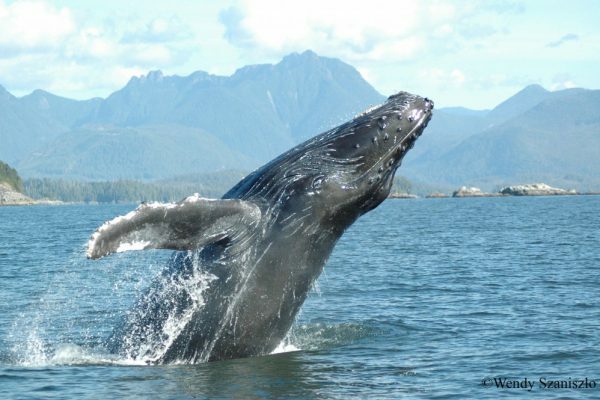 Enjoy stunning views, amazing wildlife, long sandy beaches, old growth rain forest and vast wilderness. 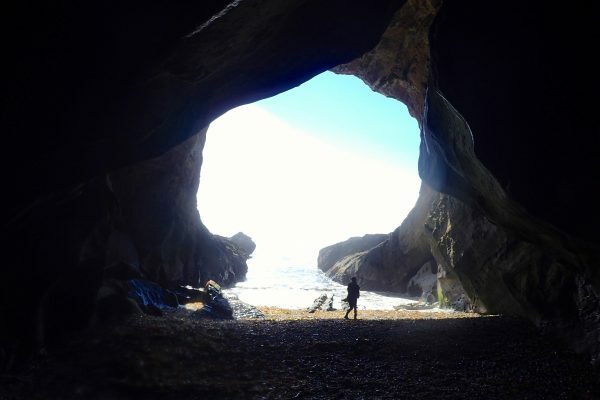 This unique one way adventure takes you on a committing journey through some of the most exposed and remote coastline in Canada like Brooks Peninsula.